I agree its the forwards who are the main problem but to say Griffin is playing better than Tuimavave is rubbish. Carlos goes looking for work,Griffin doesnt. The biggest thing we need is confidence, unfortunately the only way I see that happening is with a new coach. Very hard to find 5 overseas quality players, Leeds (On paper)Saints have managed to bring in 3 and we did that in 2016, so if we could bring in 2 overseas forwards and a centre and sign an English forward like Josh Jones and a winger then I'd be happy, but we need at least 3/4 upgraded on those I've mentioned. Whatever issues there were with Watts, a resolution should have been found somehow. Can’t believe it wasn’t possible. Garbut was available! If we’d got him alongside Taylor then that would have been something. And a true replacement for Watts. 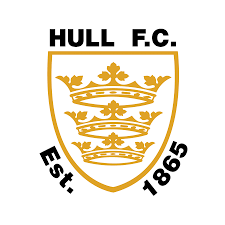 releasing watts was one of the worst decisions hull have ever made.its decisions like that over the years that have prevented hull ever consolidating any success we have had. He wasn’t released, he was sold disaplinary reasons that have never been revealed by the club but guessed at by keyboard warriors. Dragging Watts’ leaving the club is really old news.